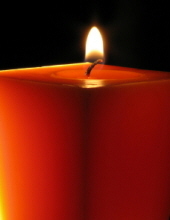 Robert "Bob" Cecil Elkins, 67, a resident of Round Lake Beach, IL and formerly of Wauconda, passed away peacefully on March 25, 2019. He was born in Waupaca WI, the 4th of eleven children born to the (the late) Jeanelle and Cecil Elkins. Bob graduated from Carmel High School. Bob worked in the trades of heating, air conditioning and general construction in the family business with his father and brothers. He also sold real estate, was a member of the Lion’s Club and led a band that performed in small venues throughout Lake County. Bob is survived by two adult children, Tammy and Eric, 9 siblings, many nieces and nephews who loved him and his adopted family of neighbors, the Perez Family. A small memorial will be held over Memorial Day weekend for family and close friends. To send flowers or a remembrance gift to the family of Robert Cecil Elkins, please visit our Tribute Store. "Email Address" would like to share the life celebration of Robert Cecil Elkins. Click on the "link" to go to share a favorite memory or leave a condolence message for the family.